It’s almost here: The 2014 MRDA Championships. 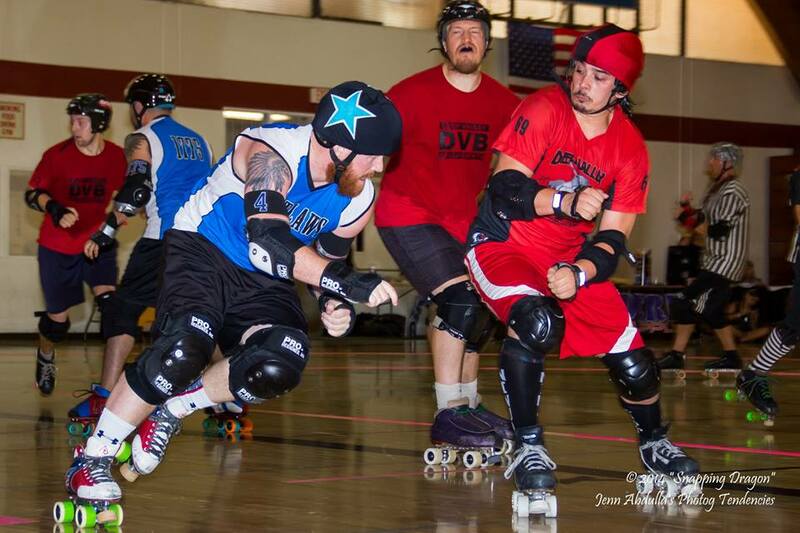 This week, skaters, officials, announcers, and fans will descend Tacoma, Washington for Maritime Mayhem, hosted by Puget Sound Outcast Derby. I figured that I should do a preview of the teams, like last year, to get us all amped up about the tournament. 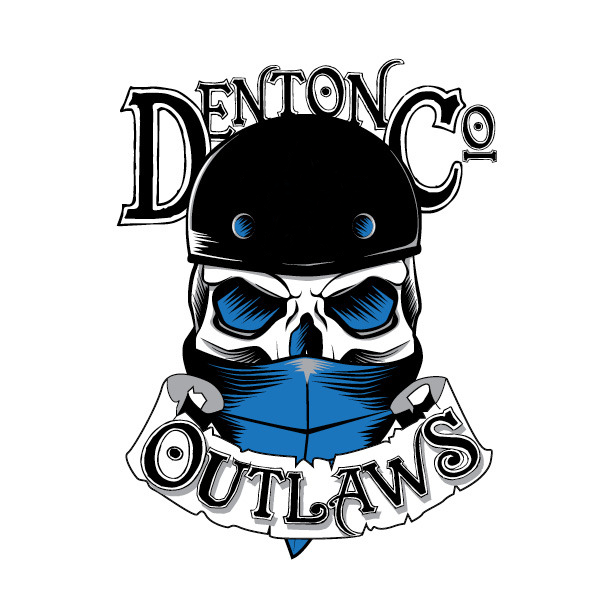 Coming in as the Eighth Seed is a new team (to the MRDA and the tournament): The Denton County Outlaws. Fun fact: Denton County is debuting in the Top 8. A feat not easy now that there are so many member leagues. BOOM. Nice work, fellas. I got to watch DCO play at Spring Roll this season. 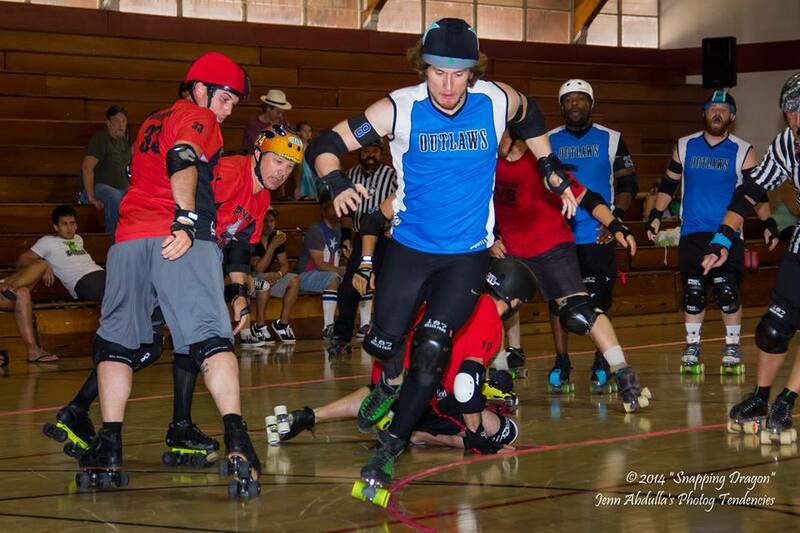 Truth be told, most of us watched their bouts because they (as well as the Cincinnatti Battering Rams and Southern Discomfort) were giant wild cards in the MRDA at that point. Most of us fans had not seen any of the teams play and we were curious at the showing they would make. Denton was of particular interest, since many of us had watched some of their vets play on Dallas Deception, Magic City Misfits, and Team USA previously. DCO definitely came out swinging. They played the Carolina Wreckingballs (ranked 16th at that time) first. They came out with a definitive strength and speed that the Balls just couldn’t handle. Game 2 of Spring Roll brought them against a different kind of Wreckingball: the lads from London, Southern Discomfort. So Disco was able to [mostly] capture the jukes and ducks of DCO jammers (it was a blast watching Haterade give them a hard time though). The walls of Denton blockers just didn’t have the same experience as their competition, but it was a phenomenal bout. DCO only lost by 99 points (super impressive considering So Disco had lost to #4 Mass Maelstrom by only 53 points the night before). DCO rounded out their Spring Roll with a definitive win against the Canadian powerhouses on the Mont Royals. You’re not seeing double. 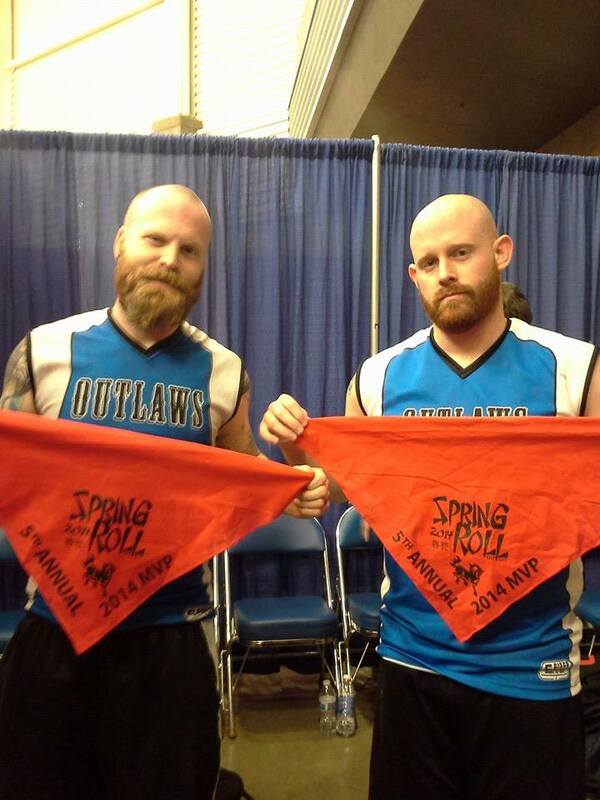 That’s Haterade and TJ Binkley showing off their Spring Roll MVP bandannas. 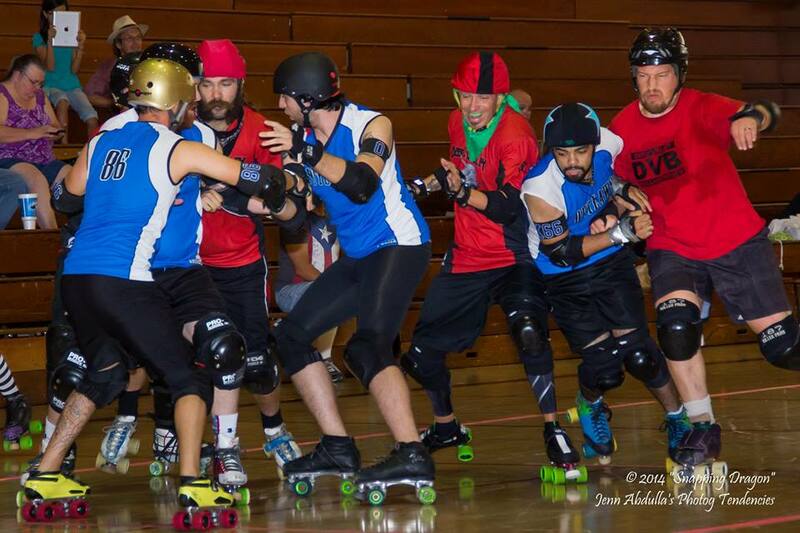 When mid-season rankings came out, DCO was still unranked, since they had not played their 5 sanctioned MRDA bouts. 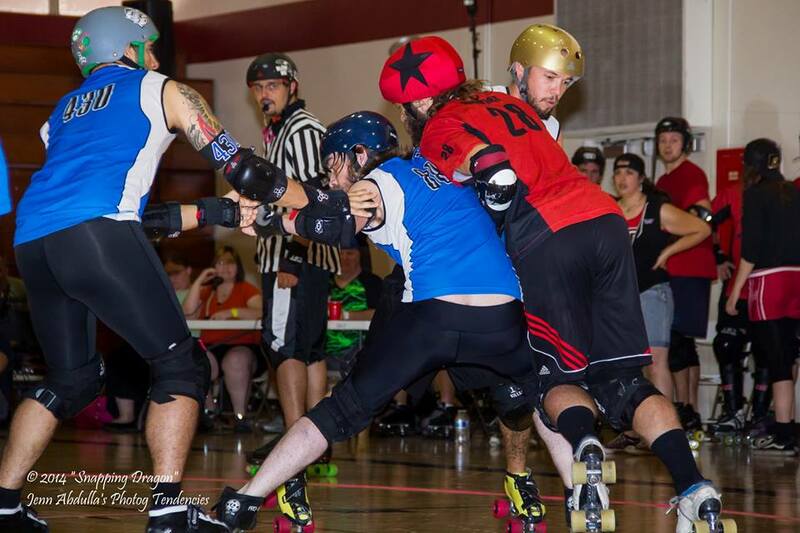 The world of men’s derby (ok, maybe just me and a few other people who are rankings nerds) were waiting with baited breath to see how DCO did at the Arizona Rattleskates’ Southwest Sausage Fest. At Southwest Sausagefest. Photo by Jennifer Abdulla. Southern Discomfort played 3 of the 4 top teams in the MRDA and lost to them, but … only lost to Maelstrom by 50 points (almost a tie in derby standards). Denton lost to So Disco by 99 points. DCO was slated to play Deep Valley Belligerents at SW Sausagefest. DVB was ranked #8 at mid-terms. Right. So if DCO could beat DVB, that would mean that they were better than the #8 ranking and since So Disco had beaten DCO by a larger margin, it would mean they were at least better than at least the 8 seed. (Ok, so maybe me and So Disco were waiting with baited breath for Sausagefest). Everyone is looking for Lucky Charmer to cut… yea, he didn’t. At Southwest Sausagefest. Photo by Jennifer Abdulla. As you may have figured out, DCO DID beat Deep Valley. The walls of DCO had strengthened since I watched them play at Spring Roll (through the magic of the interwebs, I got to watch the stream of Sausagefest). The walls were more fluid and worked as a unit to contain, play offense as they were playing defense (yay! ), and kill penalties. Deep Valley simply couldn’t contain the DCO jammers. I wish I could give you stats on this one, but it seems that the stats package hasn’t been uploaded to FTS. Womp Womp. I will say that I particularly enjoy watching Lucky Charmer magically break through packs and Phillip Stout working with his team mates to destroy opponents. Ladies and gentlemen: Phillip Stout at work. Regardless of how this weekend turns out for Denton, you can be sure they are going to come out with fast feet, spins, hops, and powerful blocking. Streaming information is forthcoming from the MRDA. Keep your eyes peeled on the MRDA Championship Facebook Event for up to date information. If you want to support the Denton County Outlaws, check out their Facebook Fundraiser page for merch! Beards doing work! At Southwest Sausagefest. Photo by Jennifer Abdulla.